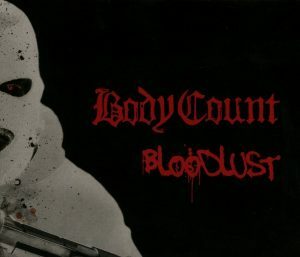 The sixth Body Count album, Bloodlust, released recently via Century Media Records, is a hard-driving collection of poetry born of anger and frustration. The album is masterful metal that hits listeners in the soul. We won’t lie, we didn’t expect to be jarred and blown away like this. We wrongly assumed that Body Count might have fallen the way of many well-seasoned metal bands. Often, it seems that financial security and fame can result in a complacency and comfort that can be palpable in music. Listeners get bored when music is cranked out and fans don’t buy into what becomes feigned angst. Well, there’s absolutely nothing feigned about Body Count. To say that they haven’t lost their edge is an understatement. In an array of songs that lay open the wounds of race, class, violence and betrayal, Body Count immerse themselves in the pain and the fight to come out on the other side. They are a conduit in the fight against injustice both personal and societal. It’s crazy that they’re still fighting the good fight after all these years, but we need them now more than ever. Speaking of all things wonderfully Slayer, the Body Count cover of “Raining in Blood” is THE BEST cover we’ve ever heard. Note for note, riff for riff, the Body Count version is a spot-on homage that made us yell “HELL YES!” In fact I, personally, was so stunned by it, that I looped it about five times the first time I heard it! On Bloodlust, Body Count not only paid homage, but also pulled in the talents of some mighty iconic men of metal including Max Cavalera, Randy Blythe and Dave Mustaine. The guest collaborations are exceptional, but it is Ice-T and Ernie C who are the heart and soul of Bloodlust and Body Count. They’ve lived to tell their tale and to make another exceptional “rock album with a rap mentality.” To their core they rage at what it is to be Body Count. Back in the day, Ice-T said, “We named the group Body Count because every Sunday night in L.A., I’d watch the news, and the newscasters would tally up the youths killed in gang homicides that week and then just segue to sports. ‘Is that all I am,’ I thought, ‘a body count? '” That emotion is still raw, real and, unfortunately, extremely relevant. 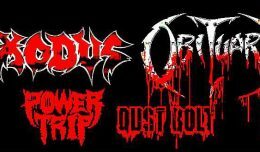 On Bloodlust, the messages merge with musical expertise and the band’s love of metal as a creative call to action. Bloodlust is a damn good piece of musical protest.